Then came drywall and it became a popular choice for construction due to various reasons. While there are still those that use plaster and lath, many prefer drywall, also called plasterboard, wallboard and gypsum board, because of its different benefits. 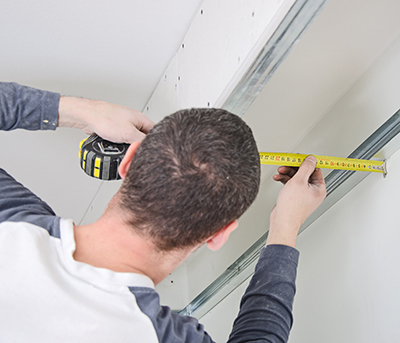 If you’re having your home built or remodeled and weighing your options on using drywall, here are some of its advantages. Plasterboards are much quicker to install. The installation of plaster and lath takes time, which means that it could prolong the construction or remodeling of your house. Wallboards are made of panels that are usually 4 by 8 foot in size. They could cover more area quickly so the installation would not take that much time. Besides the fact the plaster and lath can be time consuming to install, they may not look that good if installation was not perfectly done. Drywalls look better, adding to the home’s curb appeal. This would not just make you feel happy, but it could also increase the value of your home, which is beneficial especially if planning to sell it in the future. Although it has several benefits and it’s a popular choice to many, it’s still cost effective, which is perfect if you want an excellent material at a reasonable price. Drywall is good for wall insulation. If you want better insulation, you may also find wallboards that are insulated. This would prevent the cool or warm air from escaping the room, making it quicker to achieve the desired temperature. Once the set temperature on your heating or cooling system is achieved, it would keep the room cool or warm longer, thus saving energy. This could also eliminate or lessen unwanted noise. If you want these benefits, look for drywalls with heating/cooling or acoustic insulation for soundproofing. Fire incidents can happen anytime and it has damaged properties and taken lives on many homes. One way of protecting your family and property from this is by using fire resistant wallboards. This doesn’t mean that they cannot get burned, but they can withstand flame for an extended period, giving you more time to evacuate, extinguish the fire or call for help before it turns worse. In case repair or replacement is needed, the process wouldn’t take that long so you’ll have it fixed in no time. Moreover, panels are readily available so you could get the materials you need without a problem.